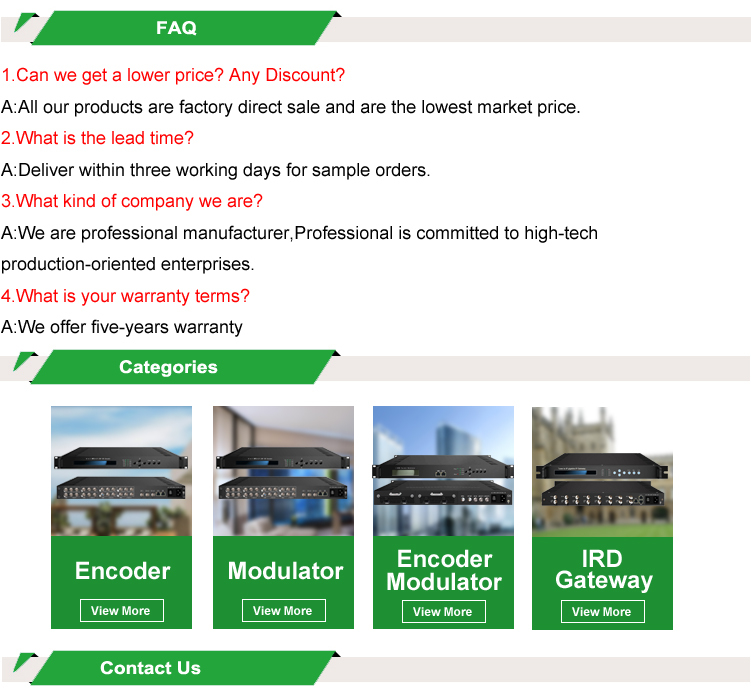 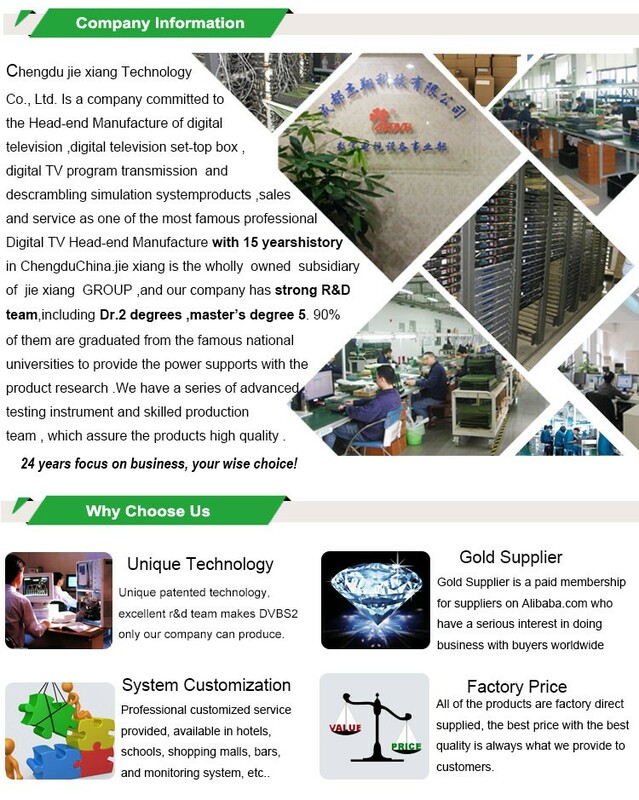 Jiexiang-8748SA is a high performance and cost-effective encoder modulator designed by Jiexiang. 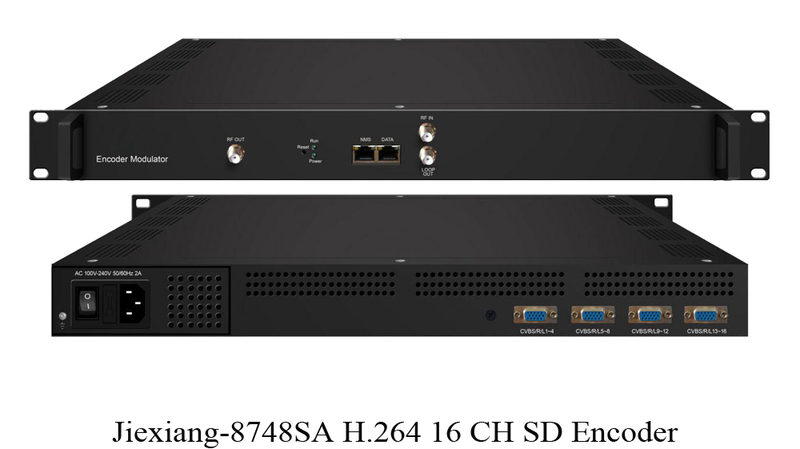 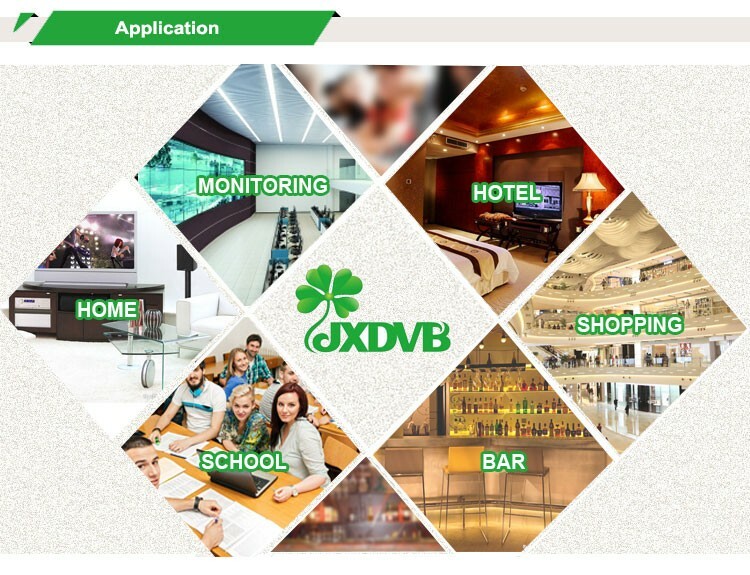 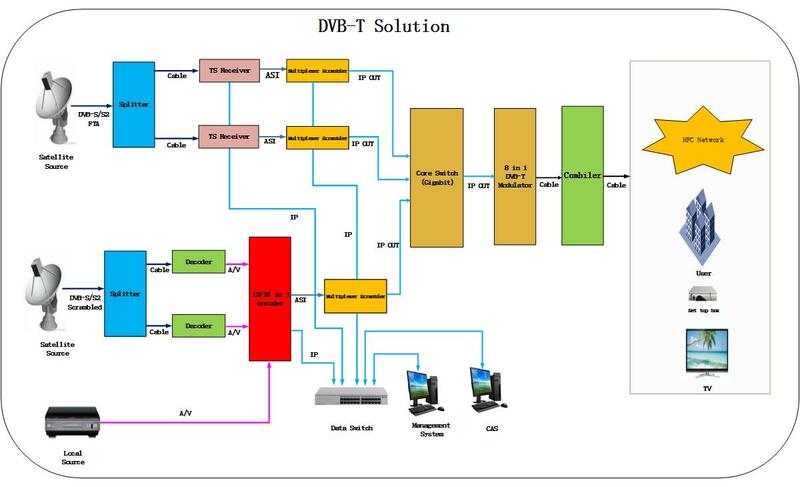 It has 16 CVBS input with MPEG4 AVC/H.264 Video encoding and 1 DVB-C tuner input and 8 non-adjacent carriers output with multiplexing, scrambling (DVB-C only) and DVB-C/T modulating included. 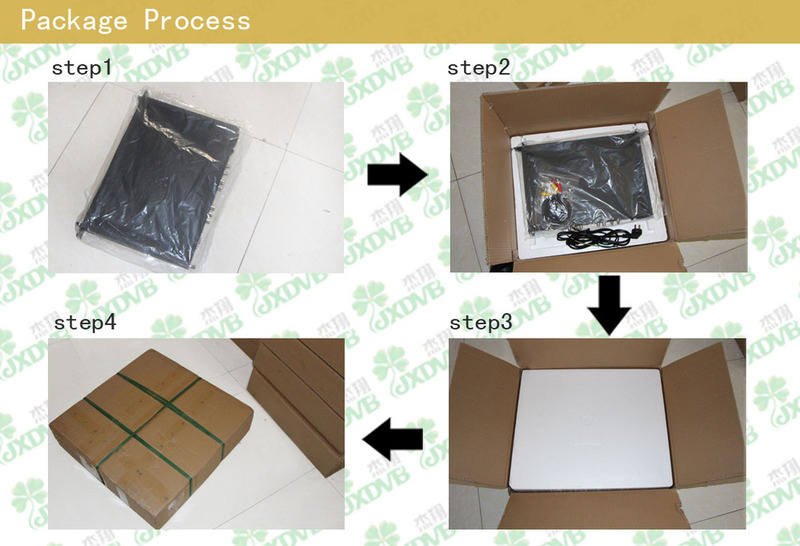 It supports maximum 256 IP input and IP (8MPTS) output through Data port. 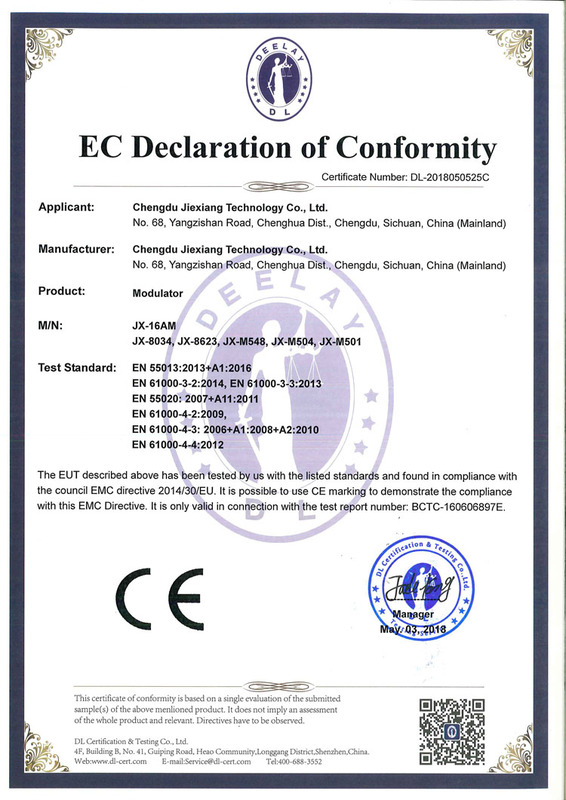 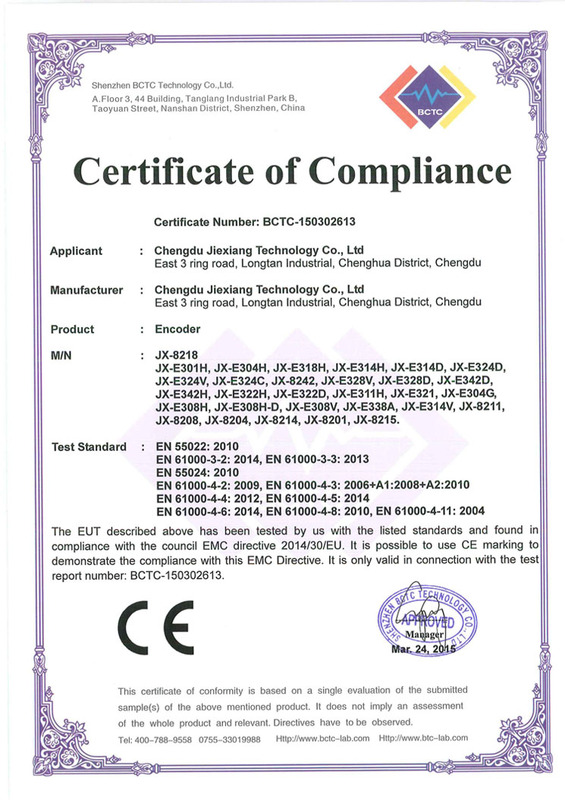 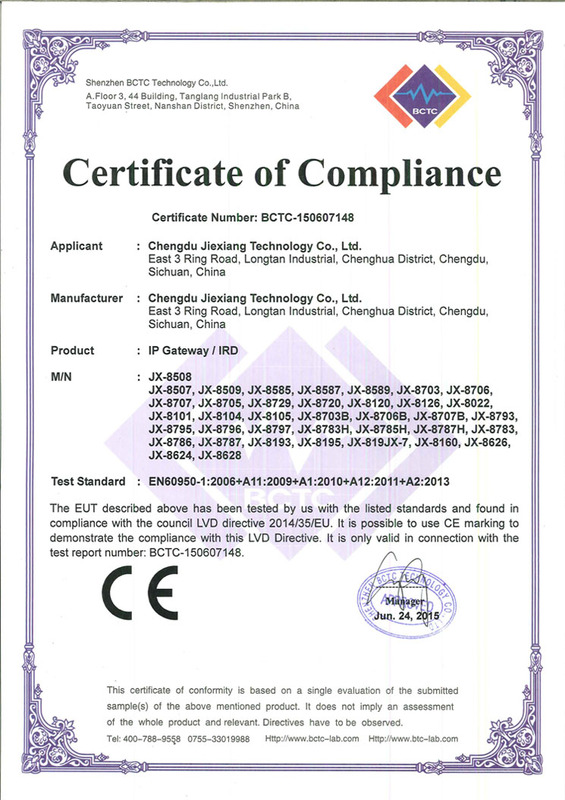 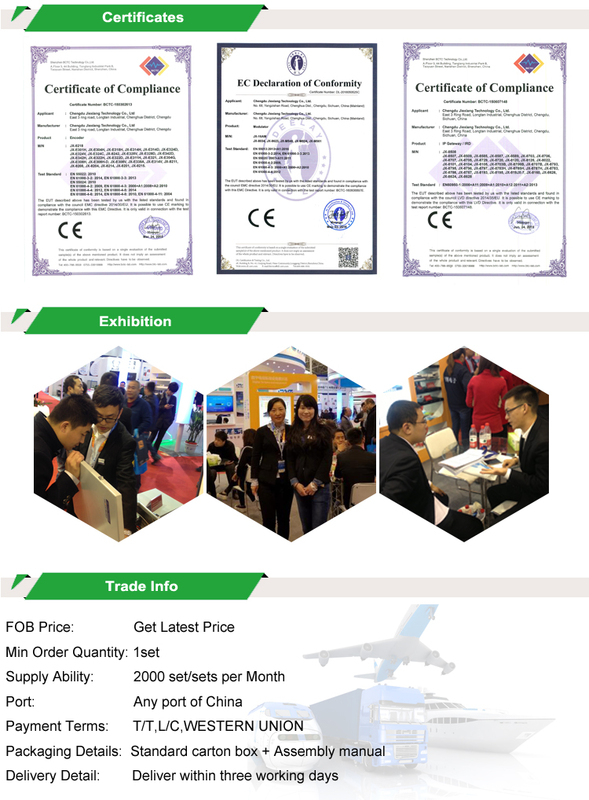 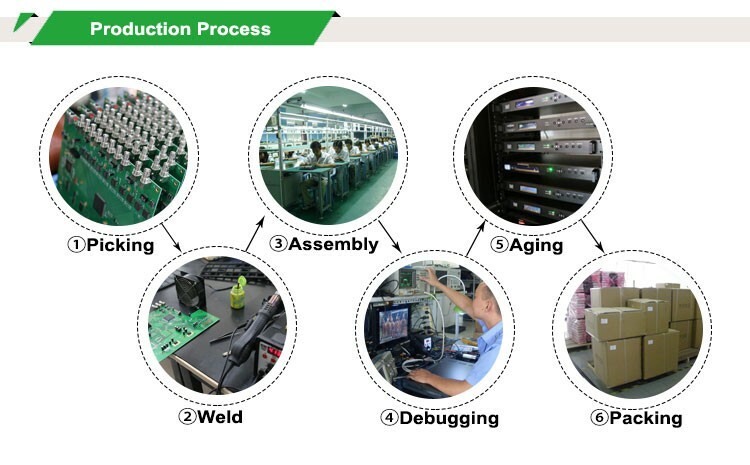 Jiexiang-8748SA is also characterized with high integrated level, high performance and low cost. 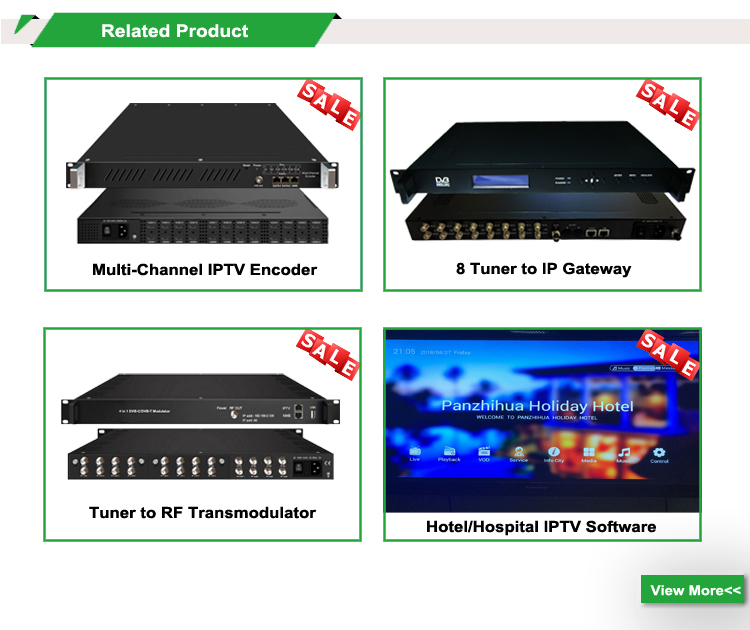 This is very adaptable to newly generation CATV broadcasting system.